[mp3] The Morning Benders: "Promises"
Yes. We're guilty of one or two of those in our day. But as Tune-Yards so eloquently puts it: "I don't need no booze to get it up in the morning." 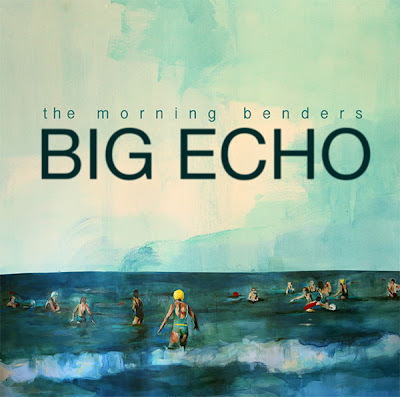 Neither does San Francisco based The Morning Benders, whose stellar album Big Echo comes out March9th on Rough Trade. It's comprised of exquisitely sung throw-back pop tunes that, at times, sets out to recapture vintage Phil Spector quality production techniques, and that wistful tinge of nostalgia and sentimentality that can only come from a well-crafted pop melody. Watch Yours Truly's excellent video of the band and all their friends in a cramped SF studio striving for the aforementioned Phil Spector effect. It will make your weekend. Promise.